I picked up on iSix:5 after Shai Linne tweeted about them – enough of a cosign for me. Shai’s recommendation didn’t disappoint as the group’s music is rich in hermeneutical, theological exegesis of the bible. ‘Identical Strangers’ starkly discusses sin and atonement before the summery beat of ‘Keep Your Heart’ (featuring Omri) catches the listener’s ear with its conversation on guarding one’s heart – the fact that J. Miles uses his last verse as an opportunity to reference scripture verses is heartening – here is a rapper striving to be faithful to God’s word, encouraging his listeners follow in the footsteps of the Bereans by testing what he is saying by scripture. ‘Love Letters’ (featuring Leah Smith) is a beautiful track which explains to 3 people (one being J. Miles’ then unborn son) that Jesus loves them and wants to make them new. ‘Kill It For His Glory’ (featuring JG) is a great last song as it encourages us, as slaves to righteousness, to do a good job of it. ‘Why?’ is a spoken word piece which draws together the ideas presented on the EP using scripture; J. Miles explains the gospel clearly and simply without watering down the message. For what it’s worth, I will continue to champion music of this caliber. 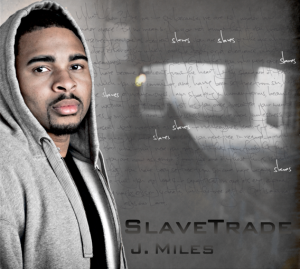 As my pastor explained this week, Hip Hop has the potential to convey a great many truths as it is a culture which revolves around using many words to convey meaning – this is why music such as J. Mile’s ‘Slave Trade’ EP must be made and why it should be heard. Visit the iSix:5 website for more information.